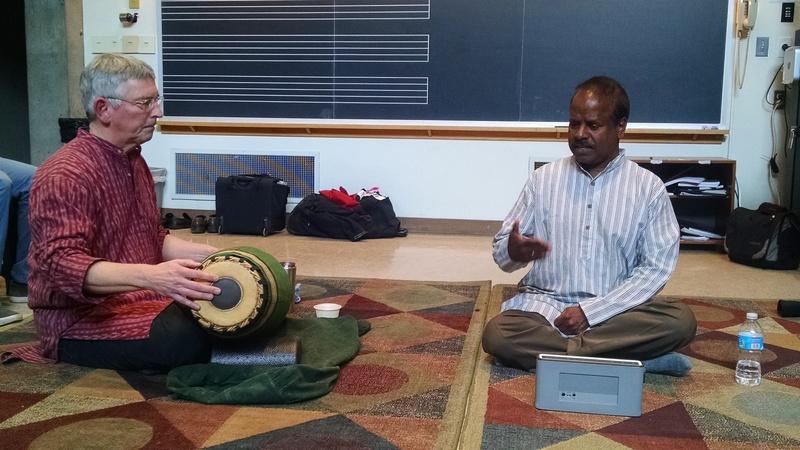 On April 24, 2015 B. Balasubrahmaniyan and David Nelson performed a introductory workshop on South Indian music at Hamilton College. 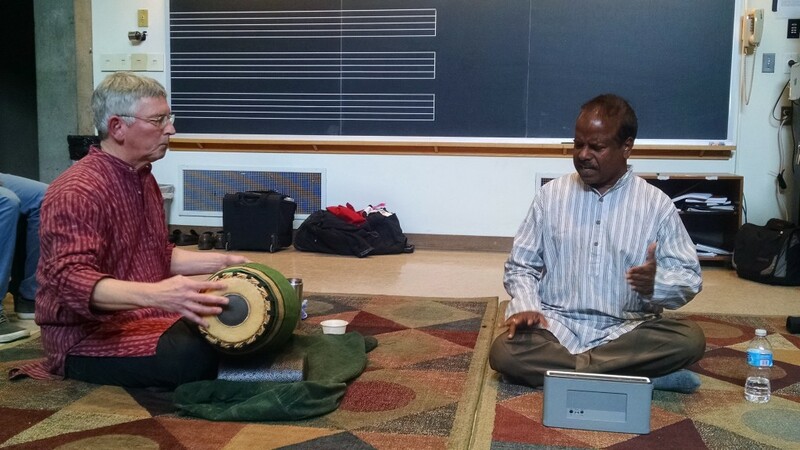 The artists drew upon their rich lineage pedagogical lineage situated within the aural traditions of Karnatak music to present a program that spanned centuries of history. 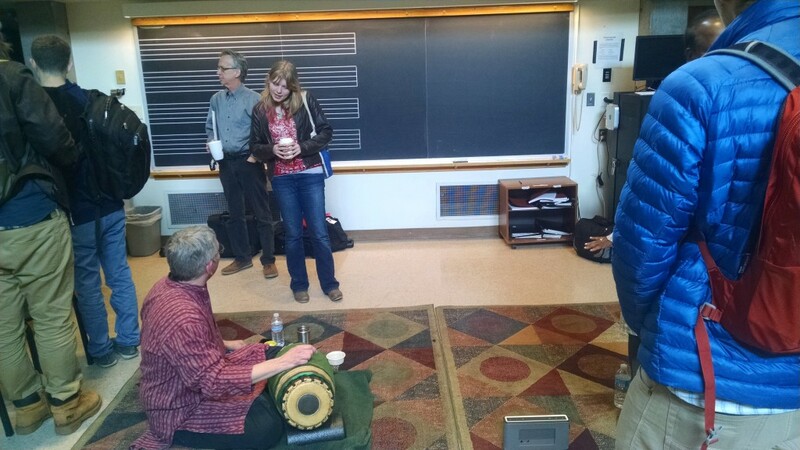 Although many of the audience members were unfamiliar with South Indian music, they enjoyed trying their hands at basic percussion exercises and asked the artists about many aspects of the music in the question-and-answer session with the artists following the performance.